Two storms tracking towards the Great Lakes from Texas have weather forecasters on edge today, as they are setting up to deliver a possible one-two punch of ice pellets and freezing rain this weekend, which could result in a major ice storm across southern Ontario, southern Quebec and parts of the Maritimes. The first storm should be rolling into Ontario this evening and through southern Quebec tonight, bringing a mix of snow, ice pellets and freezing rain. Regions of southwestern Ontario and into the Greater Toronto Area are expected to see the messiest mix overnight tonight and into Friday morning, with regions north of a line from the Bruce Peninsula into eastern Ontario getting mostly snow. Southwestern Quebec could see some ice pellets and freezing rain closer to the US border. Environment Canada has issued freezing rain warnings across southern Ontario, from the eastern shores of Lake Huron, through London, Kitchener-Waterloo, Hamilton, the Greater Toronto Area, and east to Kingston. Freezing rain along with ice pellets is expected to develop through these regions overnight and could persist throughout the day on Friday. Areas right along the lake shores may have temperatures slightly higher as of Friday morning, and thus get only rain through the day, but freezing rain may redevelop Friday night. These conditions will likely create slippery, potentially dangerous driving conditions tonight and through Friday morning's commute. Motorists should check road conditions before venturing out and be cautious while driving. 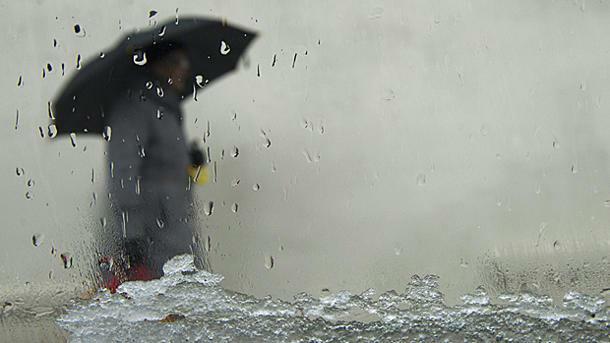 Any freezing rain or ice pellets in southern Ontario could change over to just rain Friday afternoon, but are expected to switch back Friday night as the temperature drops again. Flights could be impacted by the freezing rain as well, during one of the busiest travel times of the year. Anyone travelling into or out of southern Ontario or southern Quebec on Friday should check the status of their flight before leaving. After what should be a short break from the messy weather during the day on Saturday, a second storm will be pressing into southern Ontario late in the day or into Saturday evening, and this is the one that is causing the most concern. According to Environment Canada, there's still some uncertainty in the track of this storm, however "it appears that areas along the highway 401 corridor have the greatest likelihood for significant freezing rain amounts." Predictions for the effects of this storm on areas from eastern Ontario to the Maritimes have even more uncertainty at the moment, since a slight shift in the track of the storm on its way here could create wildly different conditions. Forecasters are advising that the ice pellets and freezing rain could impact on southern and central Quebec, as well as parts of New Brunswick, PEI and Nova Scotia on Sunday. For any areas affected by this second shot of freezing rain, there will undoubtedly be even more impacts on travel, both on the roads and for flights into and out of the area. There is also a concern about the potential for widespread power outages. Ice-laden tree branches can snap, taking down power lines in the process. Ice buildup on the power lines themselves is capable of weighing them down enough to snap them from their poles, and as we saw during the 1998 Ice Storm in eastern Ontario and southwestern Quebec, even the electrical towers themselves can be brought down if enough freezing rain falls on an area. There's no indication yet if things will actually get that bad, however, as the saying goes, "forewarned is forearmed." More updates will come as the storm develops.